Otter Hound - A Lovable Dog and Swimming Companion! The Otter Hound is considered somewhat of a rare breed there being only around a thousand of them in the world. Some of the breeds believed to have played a part during its development include the Bloodhound, Southern Hound, certain French hounds and also the Water Spaniel, though his ancestry is not absolutely clear. 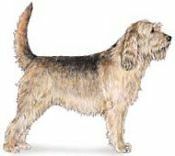 Subsequently the Otterhound became a contributor, along with other terriers, in the development of the Airedale - evidence of which is clearly seen in the coat coloration and physical size. The reason for this breed's development it pretty obvious - to spend long days in the water hunting otter which it did very well around the 14th century. Originally, otter hunting was conceived as a means of preserving some of the fish population for human consumption, but later on it became more of a sporting activity. At one point this breeds population became severely depleted due to many being adversley affected by water pollution. Though Otter hounds are no longer used for hunting otter, they retain the characteristics of a water dog, with a double coat that is water repellent, and webbed feet. Nowadays the remarkable scenting abilities of this breed, have made it desirable for gundog activities such as trailing after game. Somewhat boisterous and unpredictable, the Otter hound is a devoted pet. It is an amiable and friendly dog, but has an independent streak. Training needs to be done with patience as it can be a bit on the stubborn side. Owners need to be consistent if they want to establish leadership with this breed. While it does not have a "hyper" personality, it does have a loud baying call, which it seems to prefer over barking. You're either charmed by his music or not!! One great attribute of the breed is its loyal and protective nature which makes it not only an ideal family companion but also an effective guard dog. While the Otter hound generally enjoys quite robust health during its lifespan of 10 to 13 years, there are a couple of more prominent health issues identified with this breed, bloat being one - a fairly common condition among deep-chested dogs and hip dysplasia being another (common to many large breeds). Another concern that can be very serious, is an inherited bleeding disorder known as Glanzmann’s thrombasthenia. Fortunately, DNA testing of a blood sample can now be done to identify this condition enabling breeders to exclude those dogs carrying it from being bred - and in turn, stopping it from being passed along. Those interested in acquiring Otterhounds would want to see results of such testing before purchasing a puppy. Epilepsy related seizures are also something to be aware of as they have been known to affect this breed occasionally. 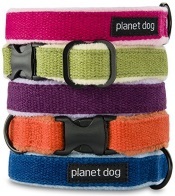 Color variations: Quite a wide choice including, black/tan, liver/tan, wheaten, lemon/white, blue/white, grizzle and all acceptable hound colors. The Otter hound has a shaggy yet attractively pleasing face. However, the thick coat does require quite a bit of care to avoid matting and tangling. Weekly grooming at the minimum is recommended. Energetic - and would you believe it, loves to swim!! If you have handy access to water, this would be the perfect exercise for the Otterhound (and perhaps you too?) Optionally, it can be a good jogging partner. A reasonable amount of daily exercise at this level is needed each day to maintain his health and well-being. This big and energetic dog should ideally have a lot of space so a fairly large back yard is recommended. For this reason as well as its vocal abilities, it is generally not suited to apartment living. Because of size, not the best choice for small children, but good with children who are old enough to be considerate of pets. That being said, we always recommend that the best policy is to make sure an adult supervises when pets and children are interacting - no matter what the breed's reputation. The Otter hound because of their exuberant nature and exercise requirements makes them not the ideal pet for the elderly or any family that likes to be more sedentary. Current resource on breed history and good source for colored photos. Discusses pet attributes, breed standard, grooming, puppy care, housetraining, nutrition, health care and disorders that concern the breed.